Building a winning strategy begins with recognizing that strategy is too important to be delegated to a strategy department. It can certainly be valuable to have the help of strategy officers or teams on refining and implementing strategy, but the strategy itself needs to be conceived and owned by the CEO (or equivalent for a division). Otherwise, strategy often becomes a diffuse product of group thinking and compromises among multiple stakeholders in the organization. It follows that the CEO must deeply understand customer needs and how to meet them. Yet it is dangerous to depend on this information flowing up through multiple layers in the organization. The transmission of customer knowledge through multiple layers often causes distortion and risks the addition of personal agendas, or “managing upward,” with people telling the CEO what they think he wants to hear. At Schering-Plough, where Brent led the Consumer Healthcare division and Ken led strategic affairs, we needed to energize the somewhat sleepy realm of Dr. Scholl’s foot care. Brent’s team hypothesized that a line of customizable orthotics could help do the trick. We went straight to the frontline people to ask if it would grab consumers – and also if it would work with our B2B intermediary customers in stores where the custom orthotics stations would be placed. They said, “Yes.” With those votes from the frontline, we reversed or neutralized negative perceptions in the middle ranks that otherwise could have killed the strategy. When we moved to implementation, we ran into a big obstacle. Some key decision makers at one of our biggest customers objected to putting such a large, high-profile display on the coveted end cap of the aisles. We turned to our frontline managers who knew the customer intimately and asked for their help and advice. This drove a strategic campaign to identify and convert the mid-level objectors through our frontline teams. The same teams guided Brent and other senior managers in making the case to top management on the customer side. As a result, the custom orthotics line became an important profit driver for Consumer Healthcare. The lesson: Frontline people can not only help the top leader validate an innovative new strategy, they can also be a powerful means to convince customers and those in higher levels at your company to buy in. From Schering-Plough both of us moved to Bausch + Lomb – Brent as CEO and Ken as head of corporate strategic affairs. We found a deeply stressed business that was running essentially as disconnected units: contact lenses and solutions, eye pharmaceuticals, and eye surgery systems. Two big challenges were how to be more relevant to customers while also being more efficient than bigger competitors that were deploying more resources. Brent developed a decisive strategic insight from riding with sales reps on calls to customers. One day he observed a pharmaceuticals sales rep stop the car and run into a Costco for a few minutes. Brent figured she might be doing some quick shopping and asked politely about that. “No,” the rep responded. She was dropping off products to a customer of a friend who was in the division that sold lenses and solutions. The moment crystallized the realization that our doctor and optometrist customers did not see their world through the lens of our three, disconnected business units; rather they saw their customers as patients with integrated eye health issues. The experience with the sales rep helped lead to our core strategy of “One Bausch + Lomb.” The center of this strategy involved creating connections among our business units, cross-selling products across the three sales forces customers, and positioning Bausch + Lomb as a company that cared about total eye health. This greatly increased our efficiency, while differentiating us from bigger companies with a fragmented sales approach. The new strategy drove sales growth and customer loyalty. The lesson: By spending a lot of time out with the sales force on calls, a CEO will gain strategic insights. And be on the lookout for the unexpected insights like the one Brent had with the rep visiting Costco; that is where true strategic gems may lie. There is a wonderful additional payoff from listening to the frontlines to formulate strategy: It will give them ownership of the strategy and make them passionate about turning it into a reality. That’s pivotal. Great strategies are only as good as the execution. Consider your average FDA food label. The nutrition information on these labels is comprehensive and accurate, but the label itself is not at all well-suited for the job of making intelligent food choices -especially when you are a busy parent racing down the super-market aisle with your screaming kids. Marketers today are often working with data that is similarly hard to parse. There’s been a lot of hype has been about “Mad Men” becoming “Math Men.” But this is the opposite of how we should be thinking about it. We need to help marketers use data to do their job better, not ask them to change jobs. In fact, the more precise the targeting algorithm, the more a campaign requires brilliant creative. When marketers over-invest in algorithms without any increased investment in creative, the result is that the right people are being targeted at the right time, but with a pretty unimpressive message. If, for example, you’re running a social marketing campaign, your community manager probably doesn’t have time to schedule a meeting with the “analytics department” to see what’s trending and why. She is optimizing for viral traffic which moves very fast. She doesn’t need data, she needs answers: is this the right headline, what should I put at the top of the page right now, what article should I promote with my limited paid media budget? Those answers should be readily available in her natural process – not trapped in an analytics report. A company that is putting data into the right context is UPS. The shipping giant crunches thousands of data points to optimize package delivery routes. The output they give to their 55,000 drivers and route supervisors – turn right, turn left – is far less complex, but much more useful, than what food manufacturers give the average consumer. Especially for a driver with a truck full of deliveries to make, winding his way through a city in high traffic conditions. These algorithms enable drivers to be productive while also minimizing emissions from their vehicles. Remember that analyzing data isn’t the point. The point is better marketing. And marketing decisions are still made primarily by people, not machines (even if, increasingly, it’s people operating machines). It’s not that these people are innumerate and can’t understand math, but that they have a lot more on their plates than just analytics. The point of collecting massive troves of intelligence and having great data sciences is to help these people accomplish what they need to accomplish – just in a more effective and convenient way. As much as Big Data holds great promise for marketing, churning out more and more analytics will not unto itself create better marketing and maybe worsen it. Let’s put math in the service of the job to be done. London: The world’s first ‘online murder’ via a hacked internet-connected device could happen by the end of this year, experts have warned. The European Union’s law enforcement agency Europol has cautioned that governments are ill-prepared to combat the looming threat of “online murder” as cyber criminals exploit internet technology to target victims. In an alarming assessment of the physical danger posed by online crime, Europol said it expected a rise in “injury and possible deaths” caused by computer attacks on critical safety equipment. The Europol threat assessment published last week cited a report by US security firm IID which predicted that the first murder via ‘hacked internet-connected device’ would happen by the end of 2014, ‘The Independent’ reported. The opportunities for tampering with devices come amid predictions that tens of billions of devices will be connected to the internet within the next couple of decades, according to experts. The Europol report suggests crooks could also use the web to carry out new forms of extortion and blackmail, such as locking people out of their homes or cars before payment of a ransom. 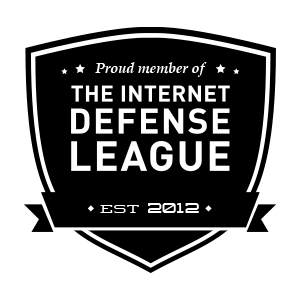 “The IoE [Internet of Everything] represents a whole new attack vector that we believe criminals will already be looking for ways to exploit,” according to the Europol threat assessment. “The IoE is inevitable. We must expect a rapidly growing number of devices to be rendered ‘smart’ and thence to become interconnected. Unfortunately, we feel that it is equally inevitable that many of these devices will leave vulnerabilities via which access to networks can be gained by criminals,” the report said. “There’s already this huge quasi-underground market where you can buy and sell vulnerabilities that have been discovered,” said Rod Rasmussen, the president of IID. Rasmussen said that while the first reported murder was yet to happen, “death by internet” was already a reality from online extortion and blackmail that has led to suicide. He said if his firm’s prediction of an online murder did not come to pass in 2014, it would likely happen within the next few years. 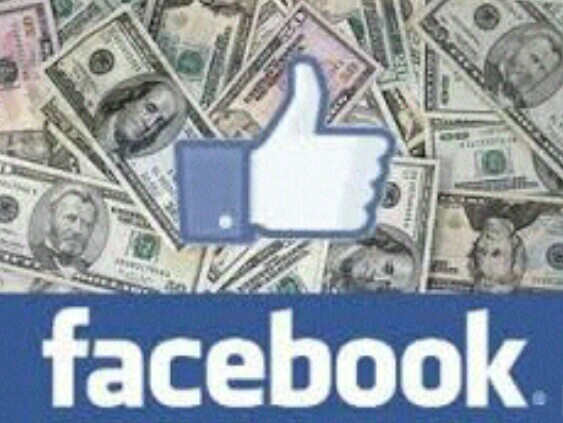 Facebook is preparing to launch a new money transfer service that will allow users to attach cash payments to their messages in the same way thay they typically attach a photo, it has emerged. Stanford computer science student Andrew Aude discovered the feature hidden in Facebook Messenger’s source code, with the help of iOS app exploration developer tool Cycript. Posting his discovery on Twitter on Saturday, Aude suggested it would allow Facebook Messenger users to make payments in the same way users of the Square Cash app send money via their mobile phone. The app can use any card details that are already registered with Facebook for payments, or users can add a separate debit card. They can also set up an in-app pincode for added security. It is not known whether Facebook will attempt to monetise Messenger by charging a small fee for money transfers, or offer the functionality for free to drive usage of its standalone chat app. In an interview with TechCrunch , Aude speculated that “based on my understanding of the debit interchange rates, each transaction will cost Facebook roughly $0.40 to $0.50 (Durbin swipe fee + ACH fee)”. However, he added that the app does not mention a fee to send, so it will probably be free – to begin with at least. “Over time they might add a $1 fee,” he said. The news comes after Facebook hired David Marcus , formerly the president of PayPal, to run Facebook’s messaging products earlier this year. As vice-president of messaging products, Marcus oversees the Messenger service within Facebook’s social network as well as the free Messenger mobile app. Roughly 12bn messages are sent every day on Facebook, and the Messenger app has more than 200m users, according to the company.